Here’s a video that has some great footage of it – it looks like a news broadcast, or maybe a tourism piece. Either way, it looks pretty dated, and it’s talking about an event that was even more dated, which is an interesting rabbit hole. 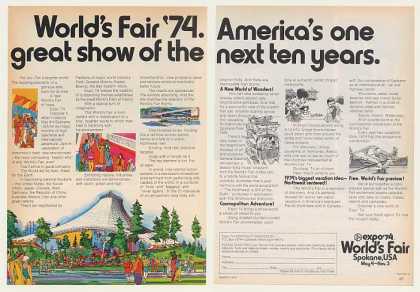 Hang in there for a minute or so to see the original ad for Expo ’74 – it’s worth it.